Special offer: You will receive coupons when you order a free subscription to Kafka queues. Features such as data replication, synchronous flushing to disks, and automatic fault discovery & migration prevent message loss. Queue throughput is adjusted to accommodate service load. Message querying and tracing are provided, and over 20 metrics and alarms keep you updated on service status. DMS uses HTTP APIs, TCP SDK, Kafka SDK, and authorization information sharing between queues to quickly integrate with other cloud services. Message encryption, tenant isolation, and operation logs ensure security. 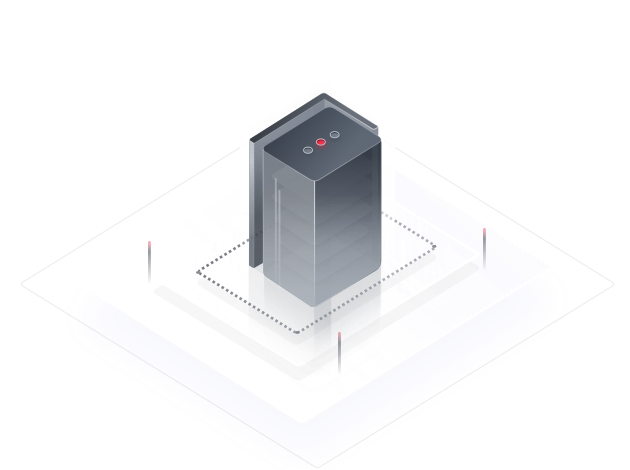 DMS transmits messages asynchronously between decoupled subsystems of monolithic applications, significantly improving the system response time. Message queues are used by subsystems to process concurrent requests. With message queues, subsystems communicate with each other even if they are not always available. Each queue provides a buffer that can store hundreds of millions of messages. Messages that cannot be processed immediately are automatically buffered. DMS provides high-speed transmission channels between IoT devices and data analytics systems. Each queue supports up to 100,000 messages per second. Increasing system concurrency is as simple as adding queues. Queue throughput automatically scales according to the service load. DMS allows the frontend and backend to exchange data without requiring each other to be always available. DMS works with FunctionStage and SMN. Messages can be delivered after a specified delay time, broadcast, or redelivered. Message delivery time is accurate to the millisecond. DMS enables apps to communicate with each other even if apps are added or removed, without service interruptions. DMS uses HTTP APIs, TCP SDK, and Kafka SDK to quickly integrate with other systems. If a system receives more messages than it can process, DMS buffers the messages until they can be processed. DMS is compatible with native Kafka queues and can directly work with Kafka systems without any modifications. DMS supports elastic scaling, queue sharing, and authorization. Messages can be delivered after a specified delay time, filtered, traced, broadcast, and redelivered. DMS provides standard, FIFO, and Kafka queues. Systems can access DMS by using HTTP Restful APIs, the TCP SDK, and the Kafka SDK. Queue throughput can scale automatically as required. The use of queues is billed by queue throughput. Tenants or users created by the same tenant can share queues and authorization. Messages that cannot be successfully processed are sent to a dead-letter queue. Messages in the dead-letter queue can be set aside and isolated for analysis. Consumers can use labels to filter the messages they want to retrieve from the chosen queue. Messages can be delivered after a specified delay time. Messages that will not be immediately retrieved can be redelivered back to queues. Consumers can retrieve the messages when they are ready to do so. Consumers can specify the time or position at which messages will be retrieved again. The same message can be delivered to all consumers in the same consumer group. DMS features data reliability of up to 99.999999999% and service availability of up to 99.95%. Each queue can contain hundreds of millions of messages. DMS supports tens of millions of concurrent connections. Messages are encrypted before they are stored and every operation is logged. Data replication and synchronous flushing to disks ensure data reliability of up to 99.99999999%. Clustered deployment and cross-AZ deployment ensure service availability of up to 99.95%. A single queue can hold hundreds of millions of messages without compromising queue performance. Queue throughput reaches up to 100,000 concurrent messages per second. A higher concurrency can be achieved simply by adding queues. DMS works with Cloud Trace Service to record and audit tenant management operations. Encrypted storage of messages protects against unauthorized access to messages. Does DMS Support FIFO Delivery?